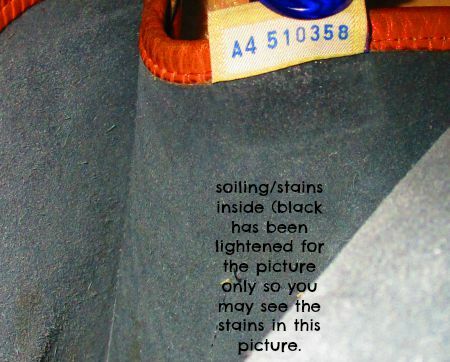 Condition: Almost Excellent; Very nice with some signs of use on the interior such as staining/pen marks which are hard to see with the interior being black. 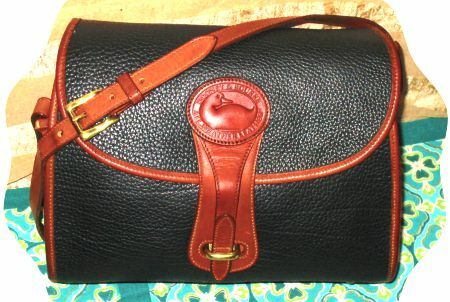 This Vintage Dooney Essex bag retains 80-90% of its original semi-firm shape. No damages or odors noted. 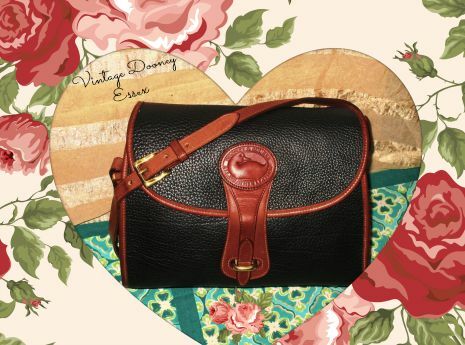 Jo's Note: “This is one of those few very very nice Black Vintage Essex bags to be had in the largest size. Wow is it big and a real classy Essex in such nice condition. It is not mint or like new, however I would describe it as close to excellent condition with minimal signs of use. 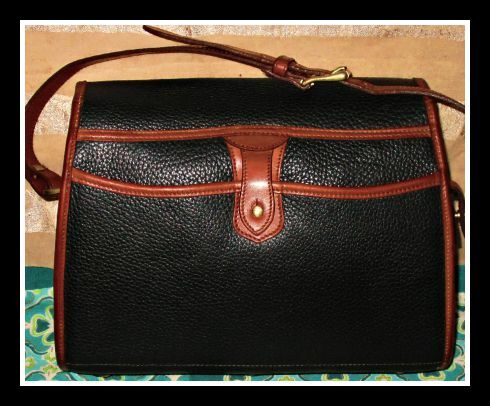 If you've been waiting for one of these big Essex bags and in black too---wait no longer, you won't be disappointed with this Vintage Shoulder Bag! 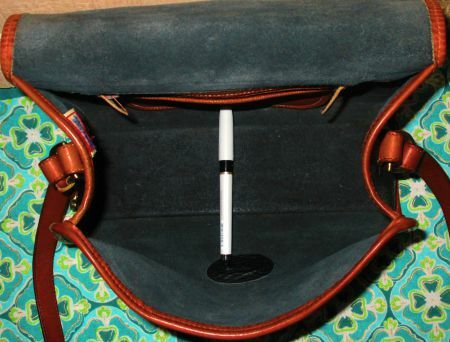 Make a stylish addition to your personal wardrobe today!" Note regarding British tan color of trim: the camera gave me problems with capturing the true shade of tan. 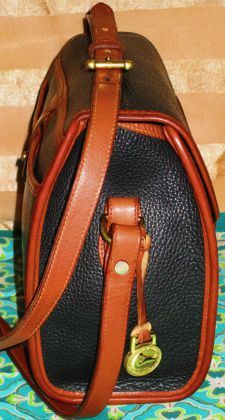 Remember it is in reality the true darker Dooney British Tan shade not the copper-tan shade you see in the pictures here.